Locked out your Outlook PST files with a password? And want to crack PST Password?? When a PST file gets locked or get inaccessible then we are unable to read the Emails, Calendars, Contacts, Journal entries, and etc. And if those files are important then it has become very much important to recover or crack the password from PST file. In this article, I will introduce you with the most appropriate method which is a safe and secure process. Earlier Outlook users used a manual to unlock PST files with the help “pst19upg.exe” utility. But it was restricted to Outlook version 2002. It is a free tool used for MS Outlook version 2002 and earlier. From the Start Menu,>> Press Window Key + “R”. Type CMD >> press Enter. Copy & Paste the path of PST File into a command prompt. This creates a copy of PST file called “filename.psx”(same name as original File). When you have completed this process, rename the original PST File as old PST File. In the command prompt, type “pst19upg.exe-filename.psx” and press enter. This creates a Password free Outlook PST File. To recover password from PST file from Outlook 2003, 2007, 2010, 2016; read ahead to find the appropriate solution. Double-click on the Mail (Microsoft Outlook 2016). From the Mail Setup of Outlook dialog box, click on to the Data Files… option. Select the protected .pst file you want to unlock. Download PST Password Remover Software, Install the software on your system. Choose the PST file from your system. Click on Recover Button; you can also save the recovered password as well. 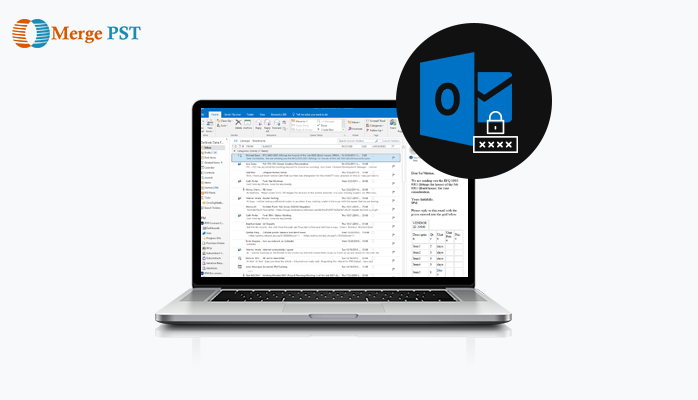 In this particular article, I have given you a piece of helpful information about how to recover or crack PST password in Outlook 2016 and older versions of Outlook. Both the discussed methods are a quick solution for recovering PST File Password. But the manual way is limited only to the older versions of Microsoft Outlook. So I have suggested your solution i.e. PST Password Recovery Tool to unlock PST file if you have unfortunately lost your password.